How far back? That’s a frequent question when searching for ancestors. My answer is usually on the following lines. If your ancestors were agricultural labourers (like many of mine) not that far. If they were from noble families quite a long way and argued by some to God. If they owned property or land there is a good chance that records were kept. If they rented property you may find them named in document that recorded the transaction. The question here though is how useful are English Parish records in tracing ancestors and when did they start? 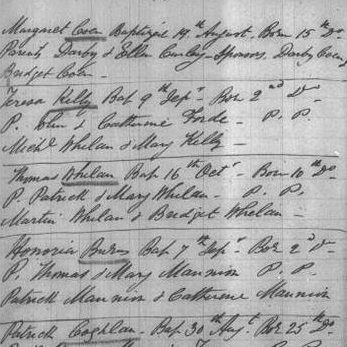 Church records are vitally important to genealogists. They provide, almost the only, evidence of births, deaths and marriages prior to 1837 when civil registration of these events commenced. They did not stop after 1837; they continued to be recorded in parish churches but were supplemented by civil records. Thomas Cromwell (1485-1540) initiated the process of keeping parish records and a mandate was issued by Henry VIII in 1538 to keep parish registers. Queen Elizabeth duplicated the law in 1558 and more registers began at this date. Copies of the registers were sent to the local Bishop, sometimes the copies were made contemporaneously and some ministers waited until the end of the year. The original records are generally more reliable than the transcripts however, some of the earlier paper records did not survive. Early registers did not follow any standard form and the details included were at the discretion of the minister. Parish records were often neglected and Bishops’ transcripts were not required. This required separate registers for marriages. Separate books were to be used for baptisms, marriages and burials. The rector was required to record the details in the register at the time or no later than seven days after the ceremony. The rector was obliged to keep the register in a secure, dry well painted chest within his usual residence. The marriage record from 1837 was made in duplicate one copy kept by the parish and the other passed to the secular registrar.